We invest in our local neighborhoods with a collaborative, community-first approach. The Chevy Chase Land Company is a leader in planning, building and giving back to transit-oriented communities. Since 1890, The Chevy Chase Land Company has committed to transit-oriented development while investing in our local neighborhoods. We are redeveloping Chevy Chase Lake into a walkable, mixed-use community that will include additional neighborhood-serving retail and connect directly to the upcoming Purple Line light rail station. Learn more about our plans, our partners and what’s to come. We own and manage nearly two million SF of mixed-use, transit-oriented office, retail and residential properties throughout the D.C. metro region. 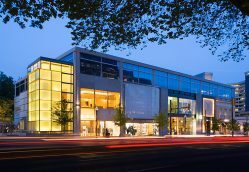 Our retail offerings deliver a broad array of experiences, from luxury retail to neighborhood shopping centers. 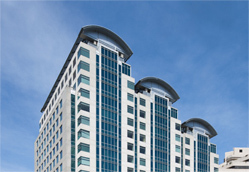 Our office portfolio includes many Class A properties across Washington, D.C., Maryland and Virginia, and feature exceptional tenant service and convenient locations near Metro stations and other amenities. 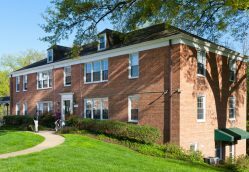 Our apartments and townhomes in Chevy Chase offer a welcoming residential atmosphere with convenient access to downtown Bethesda and Washington, D.C.